Emilija Pasagic was born in Yogoslavia where she received a formal education and training in landscape architecture. She and her family relocated to Canada in 1993 where this change in life inspired her to delve deep into her creative abilities. She began by silk painting, her subjects being figures and still life intensely detailed and often semi-abstract. 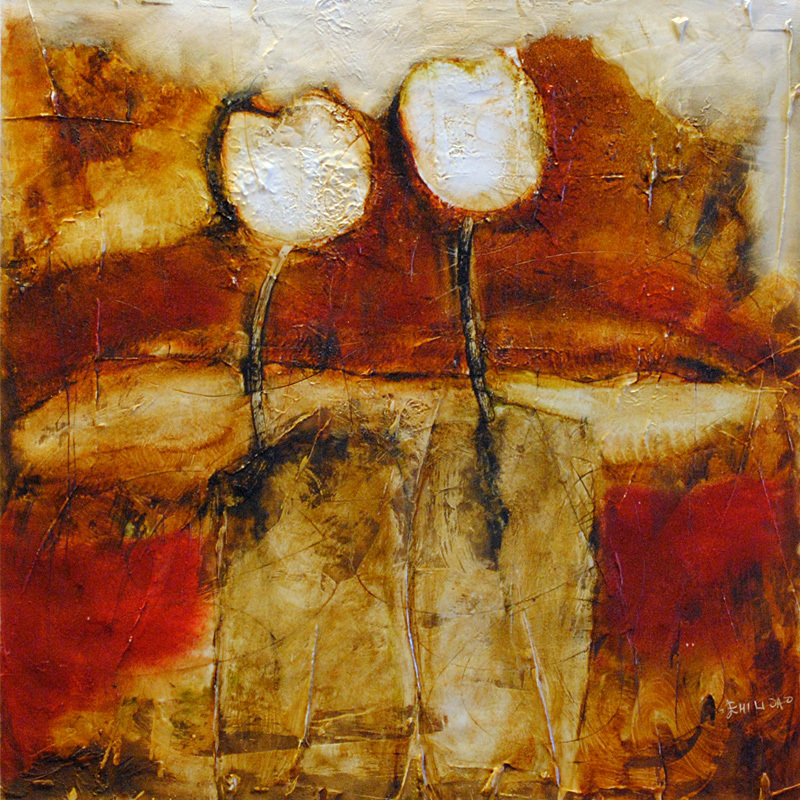 She went on to experiment with a wide variety of different media and is currently using an ancient technique called the ‘encaustic’ method. Oil paint and bees wax is blended onto canvas, paper or board then layers are scratched to add character and depth to the image. The crimson and ochre Mediterranean shades she uses offset the delicacy of the images making a traditional technique have a contemporary feel.